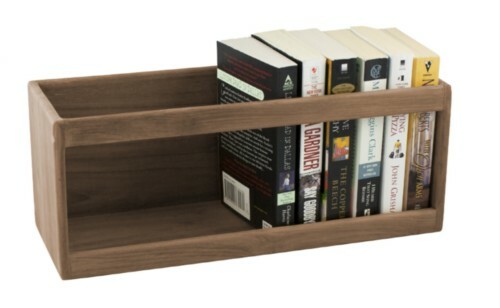 Solid Teakwood book racks are a decorative way to display and store books on your boat, RV, or in your office or home. The book rack can be mounted on a bulkhead, or it can be free-standing. This rack is also suitable for storing many miscellaneous items. Size: 15" x 6" x 5-1/4"